The ongoing efforts of Canada’s Amaya Gaming to leverage its popular PokerStars online-poker brand into Europe’s online sports betting market have picked up pace this week. 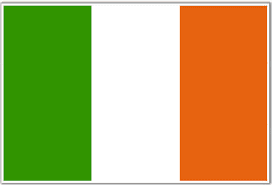 In the latest news, Irish gaming regulators have granted approval for the brand to conduct Ireland-facing operations. Specifically, PokerStars announced today that the firm has received a Remote Bookmaker’s Licence from the Irish Revenue Commissioner’s Office, the proper venue for such licensing in Ireland. The new licensing applies to online sports betting only. PokerStars has not announced any plans to establish any land-based betting shops or kiosks in Ireland, and the online poker and casino games the company already provides to Irish punters are covered under separate licenses as issued by the Mediterranean-based Malta Gaming Authority. Ireland joins a short list of European countries now approved to be offered the Stars-branded services, which are available only through online and mobile-device apps. Other countries with access to Stars’ new sportsbook included the United Kingdom and Spain, and the company has increased its recent practice of signing big-name European sports stars to large endorsement contracts, the latest signed endorsers including footballers Cristiano Ronaldo and Neymar Jr.
As for the services themselves, expect them to be slick but something of a work in progress. Direct phone support for placing bets is not yet available for any of the above countries, which instead are exclusively receiving online, interactive customer support at the present time. Stars starts out significantly behind several major competitors in the Irish sports betting market, but hopes to leverage its poker-based brand recognition into a larger market share in the niche. According to a Stars statement, players using the PokerStars website from Ireland will have access to Sports and will not experience any changes in the software or services — meaning that it’s incorporated within the existing online-poker client for Irish residents. Stars also noted that it will be paying taxes to the Republic of Ireland in accordance with the country’s recently updated online gambling code. “Ahead of the new football season across Europe,” as promoted by Stars in a corporate update, “PokerStars continues to expand sports betting options, with 18 sports and an increasing number of promotions now available. More markets, features and sports (including Horse Racing) are coming soon!” Getting Ireland online before the football betting season starts was a high priority for the firm, who may yet announce one or two more national sports betting approvals in the weeks ahead.